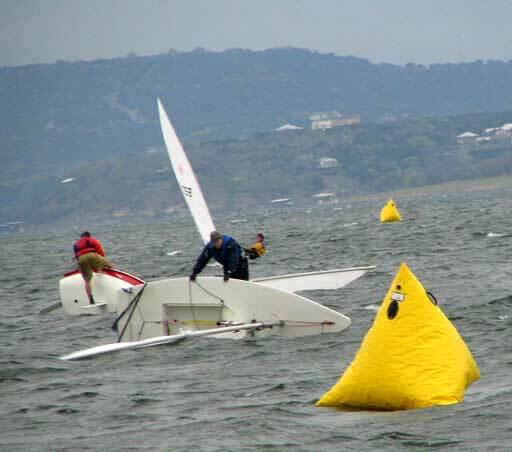 Sunday's races were delayed a bit as we waited for the wind chill to get over 40 degrees. We had plenty of wind, 23 of the 34 full rig competitors decided not to compete. Above picture courtesy of Ray Garza. 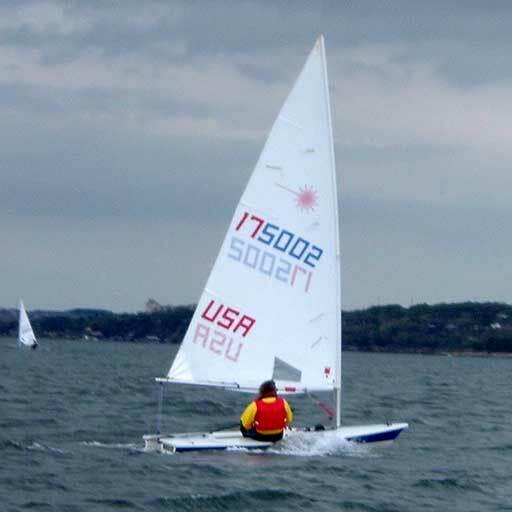 Fred Schroth, 11th overall in the full rig fleet, reached the weather mark first in the last race. 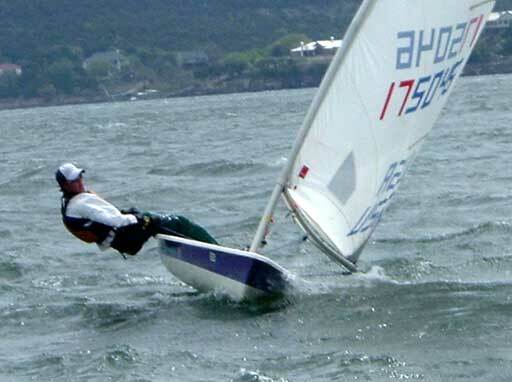 Doug Kern, 6th overall, shows how to run downwind in race 5 Sunday morning. 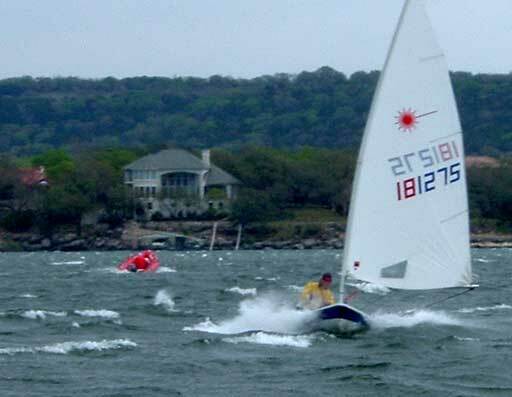 Anthony Hudson, 2nd overall, tries to keep his blades in the water. 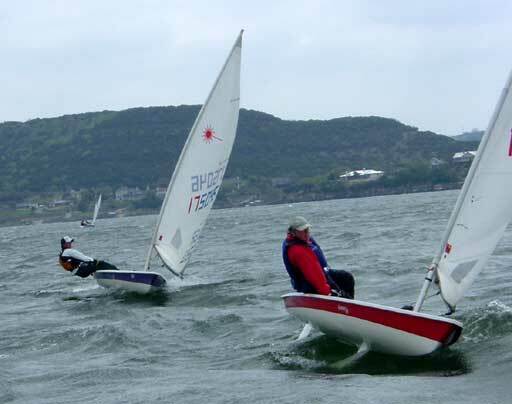 Tim Fitzgerald, 3 in the radial fleet, took 2nd in race 5. Johan Backstrom from Sweden, 4th overall Radial. 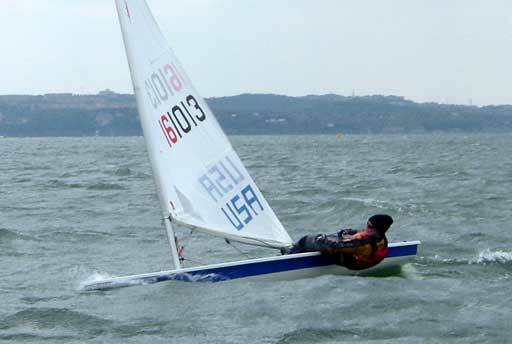 Kate Donnelly, 5th in the Radial fleet. Page two, more of the Saturday races!